This is a dress I wore out last week, but just never got around to posting. 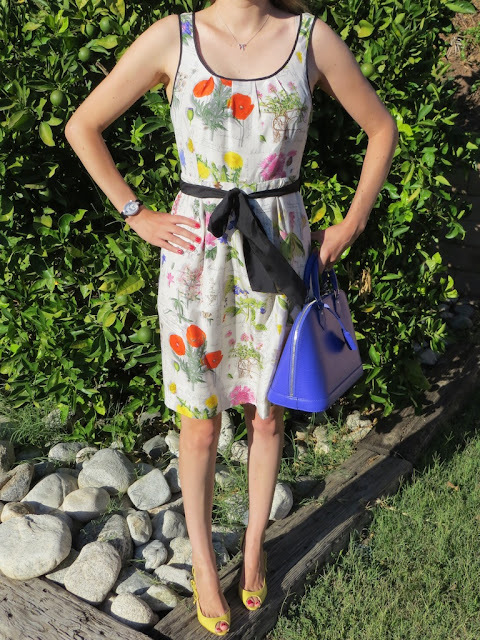 It is the Anthropologie Tuileries dress. I bought this dress last summer from Anthropologie and have gotten so much use out of it since. It has been to Las Vegas, an anniversary dinner and out and about numerous times. 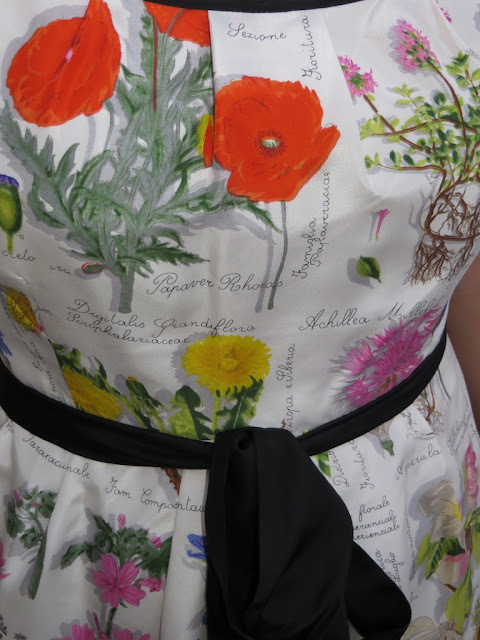 The floral print reminds me of sketches and illustrations from a scientific book on botany. I adore the bright colors and artistic element to the sketches on this dress, which is why it has become a perennial favorite in my wardrobe. When I visited Kentucky this spring I saw a woman in a really cool restaurant (Proof on Main, the restaurant located in the 21c hotel/museum) wearing the same dress. Since it was a cold and rainy day in Kentucky, she wore it with a colorful sweater and black tights, which looked great. I think this demonstrates just how versatile this particular dress can be! The dress reminded me of some delightful flowers located in a garden outside of the restaurant we ate at. 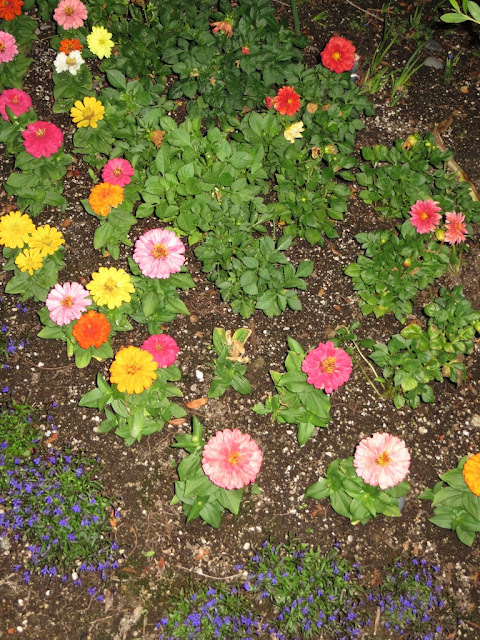 Below is a picture of the flower bed outside of the restaurant and a close up of the sketches on my dress. I just placed an order for a cedar plant/herb planter to start an herb garden in. I hope this dress gives me luck with gardening, as I typically kill every plant that I touch! 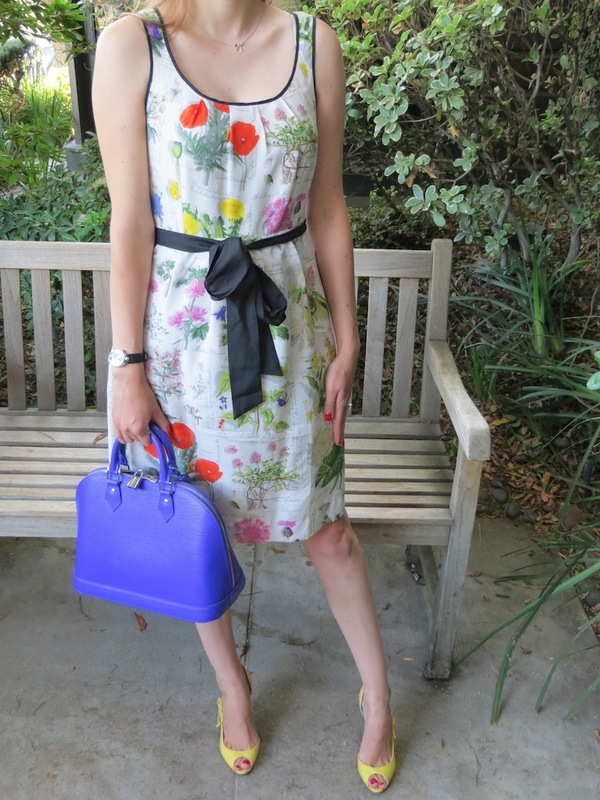 Since this dress contains a myriad of colors, it was hard to decide which bag and shoes to wear, as almost any would work. I decided to pair this dress with my Figue Epi Alma and my yellow Delico Louboutins. Ooh Katie I love it on you - and with the bright accessories too! Thank you again Laura! You are so sweet! Thank you biscuitsandnavy! The "Figue" color is my favorite and it seems to go with everything. By the way, I really enjoy your blog and your style!